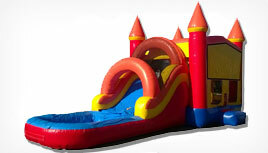 Slides and moonwalk rentals in Houston...Where the Party Begins! Welcome to Texas Party Inflatables! Making Parties Memorable Since 1990. 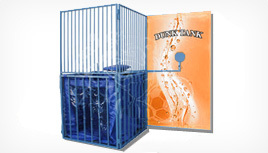 Whether you are having a birthday party, corporate event, school carnival, or just want to have some fun in your backyard we are committed to delivering the "WOW" factor every day. 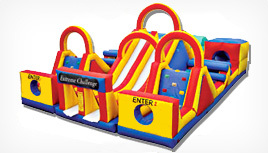 We offer a wide range of moonwalks, jumpers, moon bouncers, water slides, obstacle courses and bounce house rentals in the Houston, Texas area. 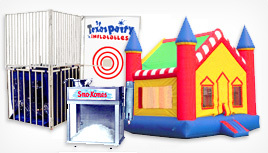 We have been providing unmatched service, exceptional products, and a wide selection of party rentals for over 25 years. This experience in our industry helps us to make your event memorable and stress free. We realize how important each event is. We love what we do and can offer you just about anything you need for your next corporate or residential party. 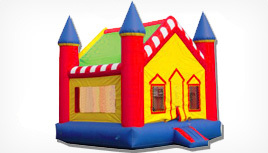 We are your one stop source for inflatable rentals in Houston, Texas and the surrounding areas. When it comes to inflatable moonwalks and combo units, we have a great selection with all of your favorite characters and themes. 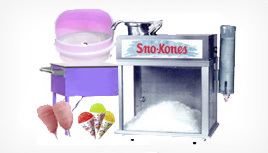 We also have inflatable slides, water slides, bungee trampolines, interactive sports inflatables and concessions including: cotton candy, popcorn machines, and sno-kones. 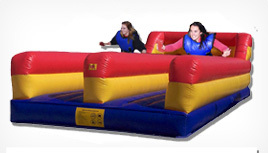 For large parties and corporate events we recommend our package deals for multiple inflatable rentals in Houston, Texas. 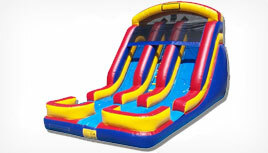 Whether you are looking for something small or a full water slide rental in Houston, we will do our best to accommodate your unique requirements. From schools to corporations and sports games to water slide rental in Houston, we've got something to make your next event extra special. Give us a call at 832-581-4484 or reserve on-line. We promise an easy rental experience and a party your visitors will never forget!